Soulbeast: Stance of Dolyak a bit to good? now sure, your still vulnerable to dmg, and condition dmg (though pop bear stance and conditions are actually beneficial to you). LOL what? its okay (in fact there's alot of builds that rather slot something else). I actually think its good for what is (no buffs no nerfs), its only one application 6 stack of stab and can be ripped/converted and only makes you immune to soft CC, for example if you get it ripped, you can still get CCed into the next world. warriors balanced stance witch while on a higher cd, gives you stab immunity to crit, stun break, swiftness and replication of stab https://wiki.guildwars2.com/wiki/Balanced_Stance. they need to just leave that one alone, the other stances could actually use some buffs. would be nice if griffon was a stun break. the other ones don't have that much use save for one wolf pack in pvp or wvw. your only looking at reapplies.. i'm mostly looking a the fact that for 9 secounds out of every 30. you can be 100% immune to movement debuffs. as in they don't apply. at all. and you can't get past it by overstacking or spam. its flat out immune. 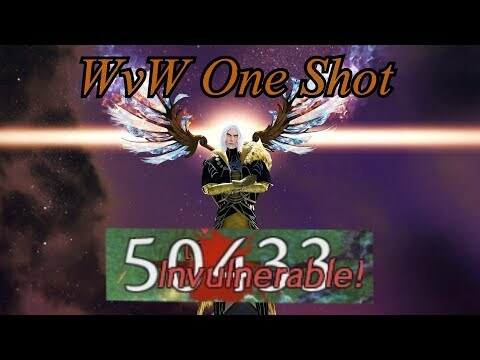 thats insane for wvw. Most people rely on hard ccs anyways to set up damage. I'm not sure if you are familiar, but warriors used to be 100% immune to movement impairing conditions 100% of the time. So, yeah. THAT was OP. This skill is alright. Most people would rather slot something else anyways. alot of classes have that. but its different from immunity. I don't think you understand how it worked lol. That added up to 98% reduced duration of movement impairing conditions on you... That is pretty much immunity. Any movement impairing conditions would last like .05 seconds which is nothing. Counterplay ? Boon strip and stun. Dolyak isn't breaking anything. I don't get how it is OP when in WvW and PvP are farting boon corrupt/hate with Scourge and SBreakers. DD Unhindered Combatant ? Mirage Elusive Mind ? Mesmer Distortion ? Block !? Really now... Let's talk about Condi and Barrier in WvW/PvP ? What I said applied to gw2, pre-hot. It was called Nike Warrior because the build could not be slowed down by any soft cc, and it would use gs s/sh to outrun every other build in WvW. Lemongrass was nerfed so warrior couldn't achieve 98% solely through traits, food, and runes anymore. Do you think perma evade Daredevil builds, that can remove conditions with evades and dodging, are OP too? Or those, up to 50k, 1 hit kill Deadeye builds? Or the 25 second cd Spellbreaker heal (base heal is 11k) that removes up to 7 conditions? Or the Mesmer shatter build that hit my full trailblazer necro for 22,999k out of stealth in 3 seconds? Are all those skills and traits that counter movement impairing conditions (that I’m too tired to look for) OP too? ... I think you see where I’m going? No its not to good. Its good. I would actually prefer to see a charge system on the stances of soulbeast. Reduce stability stacks to 3 and give it 2 charges with 30s recharge time. This would make it really shine. But other stances need more work than dolyak. Moa is good, makes concentration obsolete with a versatile pet. Vulture is nice, but it is hold back by the icd on poisonapplication. They could just give it a charge system like sharpeningstone and increase the duration a lot. So you have no time pressure using it with more tactical usage. They could do a charge system here but with less stacks. Lets say 6 stacks. Recharge time of charges is about the same as the CD is now. Griffon stance really needs some love. Id say just make it a short evade on buttonpress that refills endurance. End of the duration it gives vigor. So duration would be like 2s or 3s with GM. It gives back 50 endurance and after the 2s/3s it gives vigor. CD is now 30s. Or it could be 2 charges with 35s recharge or something. "Too good" - you apparently aren't around many of those who can play well.